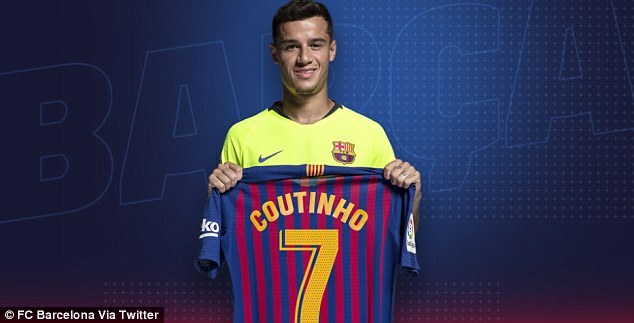 The 26-year-old Brazil playmaker moved to Barcelona in January for a staggering £145million, and he made an immediate impact at the Nou Camp, scoring 10 goals in 22 games in the second half of last season. He also shone at the World Cup, scoring twice for Brazil before their surprise KO by Belgium in the quarter-finals. The Barcelona player perhaps most associated with the No 7 shirt is Charly Rexach, the winger who made over 300 appearances for the club in the 60s, 70s and early 80s. But fixed squad numbers were only introduced at Barcelona from the 1995/96 season, since when the other incumbents have included Eidur Gudjohnsen and Pedro. Not every Barca No 7 has been a success, however – Spanish striker Alfonso Perez rarely played during his time at the club after joining in 2000, while Argentine forward Javier Saviola never quite lived up to the enormous hype around him.